This transformative treatment instantly goes to work repairing damage from heat styling, chemical services, and environmental exposure; then readies and strengthens each strand to withstand whatever life doles out. RevitaLuxe will quickly become your go-to product for radiantly healthy-looking hair. RevitaLuxe doesn’t discriminate against damage: A single treatment heals dry, dull, fragile hair of any type, shape, length, or texture. My hair is dry brittle coarse and bleached. I couldn't even get a brush through my hair. After only one single use my hair was like brand new. Doesn't look damaged dry or feel brittle anymore. I'm speechless. The texture of my hair has changed for the better. Use once a week to kick damage to the curb. Directions: Apply to freshly-washed, damp hair. Leave in for a full 5 minutes. Rinse and style as usual. Creates a virtual “molecular bandage” on the surface of the hair to protect against damage and dehydration. 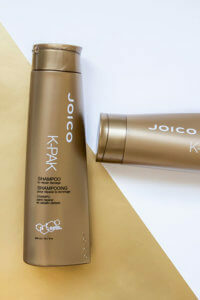 Help to restore moisture and elasticity to stressed hair. My hair is dry brittle coarse and bleached. I couldn’t even get a brush through my hair. After only one single use my hair was like brand new. Doesn’t look damaged dry or feel brittle anymore. I’m speechless. The texture of my hair has changed for the better. For me there’s something uniquely special about this bandage in a tube for traumatized hair or just damaged. It tops even the Original reconstructor. This ones more rich (not greasy) and perhaps retains moisture better. 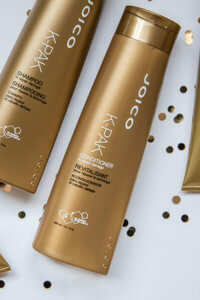 I’ve been turning to joico for about 5 yrs with very long processed hair. In love with the Blonde line as well. 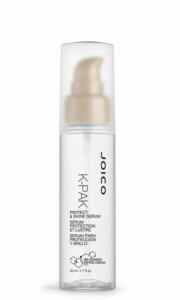 I started using this product because my hair was very badly damaged with split ends and no life due to stress along with heat tools.This product saved my hair,I have been using it for a year & a half and my hair is 10x stronger than before and no split ends.Thank you Joico for saving my hair.